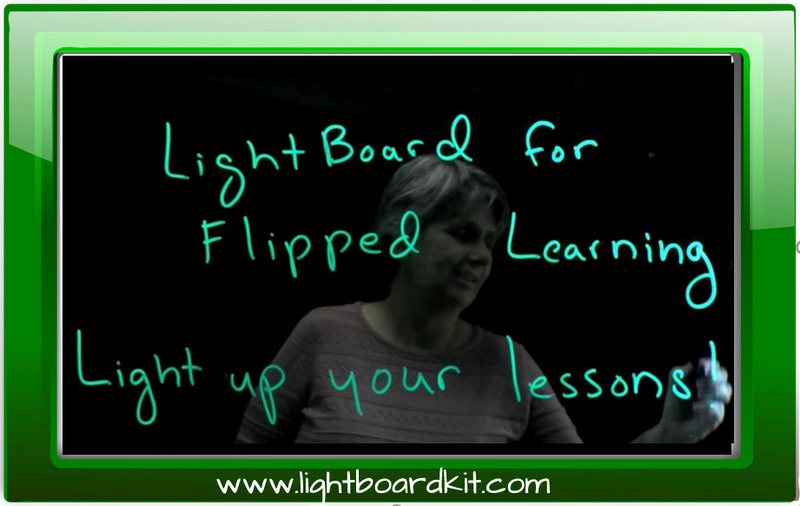 Classroom learning as we know it is undergoing change at an unprecedented rate. Technology has made its way to the classroom, increasing the engaging and interactive elements that many students are benefitting from. Students today are already familiar with various technologies, which is why computerized tools and apps make sense in a classroom setting. One study among marketing students has shown that the introduction of technology makes 87% of students more likely to attend class and 72% of them more likely to participate. 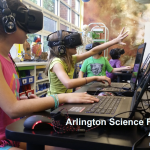 Augmented and virtual reality are seeing more prominent utilization in classroom and educational settings. The format and even the location of the learning process could be transformed through AR in the years to come. Keeping in mind that 71% of people aged 16 to 24 in the US have a smartphone, AR could be the next big thing in education. Let’s explore educational uses of the AR technology in detail. One of the simplest AR uses in education is its introduction in the traditional classroom. Supporting textbook materials with AR examples adds another dimension to the learning process – a process that will become a hybrid of the traditional approach and innovative practical illustrations of complicated concepts. Here’s a simple example of how AR could be utilized in the classroom. By scanning the covers of textbooks, students get a short description of what they’re about. Thus, smarter choices can be made about the selection of learning materials that will be most suited to the task at hand. 4D augmented reality flashcards are also in existence already. Dinosaur 4D+ by Octagon Studio is a set of AR flashcards that give students a better idea about what dinosaurs have looked like that simultaneously provide information about their habitats, biology, and the origin of dinosaurs. Augmented reality can make the educational experience fun for a young and restless group of people who have gotten used to visual stimulation and interactivity. Apps and AR resources are already being used in the classroom (successfully), and chances are that the scope of application will expand even further as more AR developers take on the task. Augmented reality can also help students handle their homework and assignments better when they’re not interacting with an educator. In the very near future, teachers could start providing their students with AR-enabled worksheets. The aim of these study aids would be to encourage students to explore educational content at their own time. 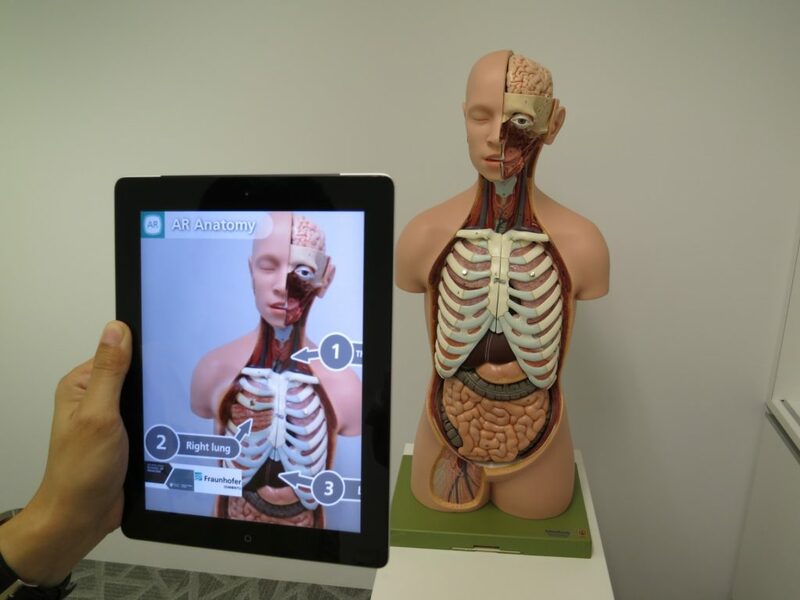 Printable AR worksheets are already being tested out in an array of educational institutions. 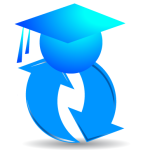 The International Society for Technological Education provides support and guides on the creation of such learning materials. Kids and teens rarely leave their phones. This fact can be harnessed to promote learning in a way that will appeal to the contemporary students. 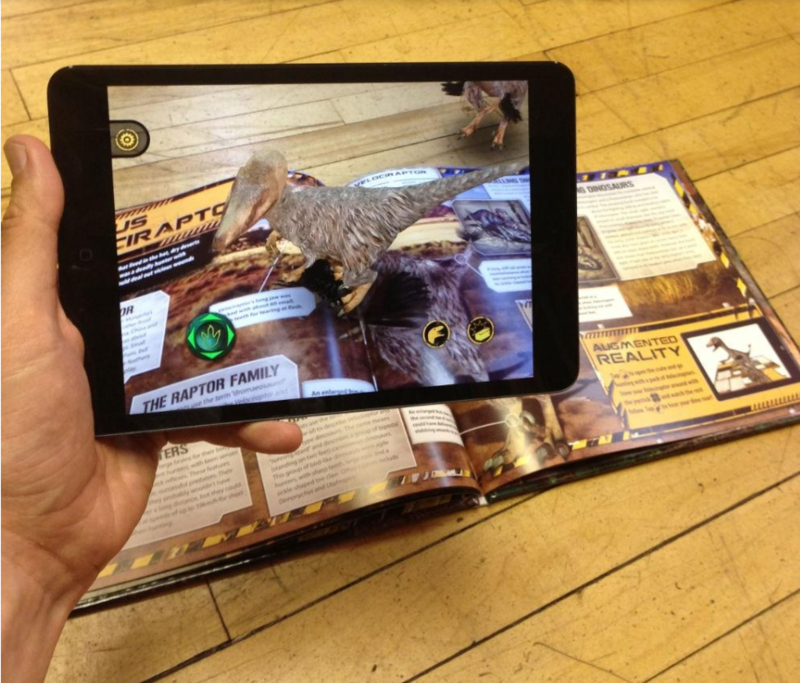 Augmented reality can make images and information “pop out” of a textbook or a worksheet. 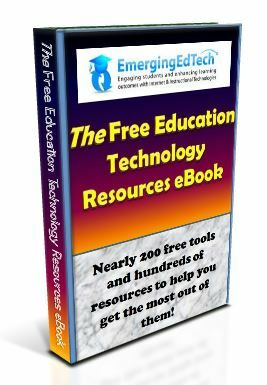 It puts emphasis on the most important concepts and it also breaks the boundaries of textbook learning that’s perceived as mundane and tedious by many students. Once textbook materials and apps are chosen for the purpose, the implementation of AR technology in the learning process will become simple and easy. This is one of the reasons why the technology is preferred over virtual reality developments. While VR necessitates the use of a headset, AR needs solely an app and a smartphone to bring educational concepts to life. Lab experiments and demonstrations are undoubtedly one of the most effective practical options for bringing challenging concepts to reality. Due to budget limitations, available equipment or safety hazards, however, many schools limit the scope of practical demonstrations that students are exposed to. This is another fact that’s beginning to change through the adoption of AR technology. The number of experiments and demonstrations students can witness is going to grow. In fact, such educational tools are already available. Anatomy 4D is an excellent example of such AR development. When printed targets are scanned, students see a 3D model of the human body that can be interacted with. Experience Chemistry is another similar development. It enables for virtual reactions to take place as students progress through different levels and learn about chemical elements. Through AR, students can also inquire more knowledge about the safety procedures to follow in a lab and the potential hazards to be aware of. Such demonstrations are much more engaging than a standard safety tutorial, which is why young people could be expected to remember the protocols better. The ultimate goal of technology being introduced in the classroom is personalization. Students can explore the lessons and the concepts that they need to review and they can go through the AR demonstration at their own pace. The next step would obviously be the creation of personalized learning materials by both students and teachers. AR apps like HP Reveal simplify the process of creating your own augmented reality. An image that a student or a teacher shoots can be linked to online content that appears in a floating window whenever the respective image is scanned. Metaverse and Traces are examples of similar AR apps. They allow for the creation of place-based AR information pop-ups. Just imagine how useful and fun these could be during a field trip. Teachers can easily create content for the individual needs of different students by relying on such apps. The ready availability and cost-efficiency of such solutions will obviously increase their propagation in the near future. Teachers can come up with quests, interactive puzzles, and quizzes for their students, making discovery and learning much more exciting. When in need, they may develop special content for groups of students or individuals in need of a more thorough or specific approach. Ultimately, the effectiveness of the learning process will increase because students will receive the special attention they may need to move forward with a certain subject or concept. There are many other ways in which AR can be utilized in schools, universities, and in e-learning. AR could work with other technologies like VR to create something known as mixed reality. The real world is only a starting point from which exploration begins. The sky is the limit, both when it comes to topics that can be explored in AR settings and the demonstrations or knowledge presentations that can be crafted through the use of the technology. Teachers can easily create content for the individual needs of different students by relying on such apps. The ready availability and cost-efficiency of such solutions will obviously increase their propagation in the near future. Interesting and informative article. Students use technology outside the classroom for their entertainment and leisure, and if they don’t find it inside the classroom, they are likely to get disinterested with learning in its premises. Technology has permeated the field of entertainment, the workplace and homes, and it ought to do the same in the classroom. Learning in the classroom becomes more engaging when it accords with what students are engrossed with outside of it. I did not know there are so many uses of the augmented in the education. I am thankful to you to get to know the uses.